Welcome to the 2018 newsletter. We have spent considerable time in the last year on our Social Media presence. On our Facebook and Instagram sites we are now making new posts every day. You will now be able to see on our Social Media what is going on right now with Cruiser’s and be able to enjoy our 2018 hunters’ trophies. We are currently looking for more videos for Cruiser’s YouTube channel. If you have a video that you would like to share, please feel free to send it to us. In the next few months we are planning to add several videos there for you to enjoy. 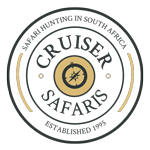 You can visit our channel with the following link: Cruiser Safaris TV. As always, we are including all of the hunters that have come to Cruiser’s along with every trophy that they took. Also included are their safari stories that they have sent. Sometime we don’t receive these stories right away, however when we do receive them we will add them to this newsletter. In following my tradition of trying to give the reader of the newsletter the feeling of actually being on their safari with them, all of the stories that are included here are those actually written by our clients. If you have a story be sure to send it to us so all can enjoy the highlights of your safari. Although there may not be a lot of the clients’ stories right away, we will add those as we receive them. We have now made sure that there are pictures included here on everyone that has hunted with us this year. On a sad note our PH Hans is no longer with Cruiser’s. We will miss him but want to wish him the best. We want to welcome Rudolph Human as our new full time PH. Rudolph grew up on a farm and began his hunting career with a Warthog hunt when he was only 5. Along with Craig, Frank and Johan we have an outstanding group of Professional Hunters. Naturally we still have to take our hats off to our chef DelMarie. Each year her culinary skills absolutely amaze our clients. And as we do every year there are improvements made at Cruiser’s. A lot of these improvements are subtle and you may not even notice them such as landscaping, décor and linens. New end tables are a little more noticeable along with air conditioning being added to the chalets. Now that is cool. Nothing is nicer then coming back to camp after a hard day of hunting and relaxing in an elegant setting. Included in this newsletter are all of the clients’ trophies and those trophies that qualify for the record book are indicated by a * and in the case of Kudu’s, their size is also listed. All trophy pictures that are sent to me are included as well. Thank you to those that have contributed their safari stories and I hope everyone enjoys this 2018 edition of Cruiser Safaris newsletter. The bushbuck is a small animal and because of the time of year the bush was still thick so we had to really work hard for him. We saw 4 different bushbucks but they kept catching us off guard. It was not till the 4th day that one finally made a mistake and we were at the right spot to take advantage of it. He will be a fantastic memory of a great hunt. When I shot my waterbuck, it ran. In no time at all, we heard it fall. We waited a while before we went to look for it. My PH went to get the truck. He came back with several guys to help. We looked for it for about 30 minutes. I thought for sure it was lost. We all regrouped back to where I shot it. And slowly the trackers looked for blood. There were small amounts on a few blades of grass. We kept finding a little bit of blood. After about 15 minutes one of the trackers spotted it laying down in some tall grass. What a relief! !& We were so excited to find it, we forgot to take pictures in the field, so we had to unload it back at the lodge, take pictures and then loaded it back up and took it to the skinning shed. All very exciting! (Wes’ Kudu hunt) We saw the first bull around 7:30 that morning and I missed him cleanly at about 200 yds. We then sat in a blind and saw two bulls, one of which we actually saw twice and I could not get on him either time and another that we couldn't decide in time if he was one selected to not be harvested. Finally, towards the end of the day, we drove some and a bull crossed the road. We drove up to where he entered the brush and saw him and I had a shot and took it. We had to track it and when we got within a few yards, Frank glassed it and pranked me by telling me that I had shot a cow. My heart sank and then he told me that he had some extra horns that we would tape on and it would be good enough for a picture. At that point, I knew he was pranking me and it was fabulous. Then, when I got next to the animal, I could see how good he was and I knelt and thanked God for the opportunity and sacrifice of that glorious Kudu. The Kudu was my main objective but I also wanted so badly to take one over 50". My Kudu was 52 1/2". The pressure was off, my main goal had been achieved on day four and the rest of my safari was so relaxed and wonderful. (Wes’ Gemsbok hunt) When I shot my Gemsbuck we had to track it as well. We got to a point where Frank told me to get ready, the animal was ahead and I would have to shoot it again. He put his hands on my shoulders and pointed and guided me 25 yards instructing me to look into this certain area as the Gemsbuck was moving in there. He finally stopped and said "he's right there, I can see him". I turned around to ask Frank where he was as I could not see him and the darn Gemsbuck was six inches behind the heel of my boot. It was another great prank and he got me good. The Gemsbuck was a fine harvest as well and the prank will always be a part of that story. (Danae) At dinner the first night, Pieter crawled under the length of the table with a big plastic bug to scare me. Everyday there was snack mix, sand, rocks, salt, etc. in my hood or pockets. I was still cleaning stuff out when I got home. It was jokes all week! So many folks dream of an African safari, but never make it happen. Too often, it seems they are unable to commit due to fear and uncertainty over downrange business ethics, in-country safety, the unknown, and finances. Enter my friend, Joel, who faced all those same fears and went on his first African hunt. Oh yes, and Joel is a one-legged, one-handed, totally blind, and badly burned young man. I met Joel in 2008 when he was in the Haley VA Hospital in Tampa, FL. He'd been severely wounded in Iraq. I was the HQ CMDT at HQUSSOCOM and my 1SG asked me to join him and visit some wounded guys in the hospital. Joel was a mess; missing a large chunk of his skull, badly burned, leg amputated below the knee, hands badly gnarled, and completely blind. Even in this condition, at his mother's urging, he thanked the 1SG for visiting and saluted me with his damaged hand - this level of discipline and lack of self-pity, along with an amazing sense of humor, are Joel's trademarks. We became friends, talking every few weeks, and visiting him a couple times after leaving Florida. I'd been "kicking tires" and thinking about my second safari when Joel, who now had several successful stateside hunts under his belt, called and asked if I'd allow him to join me on my next African hunt. Joel hunts with the use of an iScope adaptor that allows his guide/PH to help get the crosshairs on target before Joel pulls the trigger. I told him I'd run it by my bride who said "it's Joel, you have to say yes." A year-and-a-half later we were on a plane. We were supposed to meet up in Atlanta several hours prior to boarding our non-stop Delta flight, but weather in Atlanta kept me grounded in Greenville, SC and I arrived just after the plane left. Fortunately, Travel with Guns was monitoring our flights and we worked with them and Delta to leave two days later. We lost our Delta Comfort seats, but ended up with bulkhead seats, pretty good all things considered. Once done, I notified our booking agent and shortly thereafter received a text from Cruiser Safaris saying they'd simply shift everything two days to the right so we wouldn't lose any hunting time. Likewise, Travel with Guns worked with Afton Safari Lodge to shift our reservations as well. We arrived in Jo'berg and were met at our gate by two of Mr X's (courtesy of Afton Safari Lodge) assistants who whisked us through customs to the SAPS office where we were met by Mr X. Minutes later we were in a van for a short ride to Afton for a great steak dinner and a night's rest. They even had a stool in the shower so Joel could take a shower. Since we'd arrived two days late and would be leaving the country two days late, our gun permits would expire during our stay. Mr X worked the extensions and e-mailed them to our outfitter for us! Afton also e-mailed me to say we'd left an adaptor in our room and offered to meet us at the airport to give it to us when we left. Pretty amazing service. After about a 4-hour drive with Joel's PH and the videographer, with a stop for fresh produce, we arrived at Cruiser Safaris. Our dinner, as was every meal while there, was delicious and served with a smile by a wonderful and attentive staff. Our accommodations were embarrassingly decadent; remote control heaters, hot water bottle in bed each evening, hot shower with good water pressure, etc...and very clean. First order of business was sighting in of the rifles and evaluation of client shooting abilities. I was uncharacteristically accurate. Then it was Joel's turn. He and his PH got the iScope set up and mated to his scope and iPhone. Joel's first shot at 100 yds wasn't on the paper and the look on his PH's face said "what have I gotten myself into." Another shot, however, and they were in business. I'll save the blow-by-blow and tell you Joel missed one Impala and his Wildebeest required a follow-up shot. Every other animal was a one-shot kill and fell within sight of the blind. His 308 Winchester and Barnes TSX bullets were up to the task. He took Blue Wildebeest, Impala, two Warthogs, Waterbuck, Blesbok, Kudu, and Zebra. The only animal he targeted but couldn't bring to bag was a Steenbok, but it wasn't for lack of trying. I hunted as well, taking Nyala, Steenbok, three Warthogs, Blesbok, Red Hartebeest, Waterbuck cow, Gemsbok, and Impala. My PH, Frank the Tank, delighted in tracking, working the wind, and getting us in close. As a result, I only took two shots over 100 yds and many times were well within 30-40 yds from unaware animals. (Roy) We were looking for Gemsbok for my son when we came across a very nice Blue Wildebeest bull. Craig had me on the sticks several times over the next couple of hours, but a good shot did not present itself. We pushed them too hard, so we went back to looking for Gemsbok the remainder of the evening. The next morning, we were determined to locate a Wildebeest that would satisfy me. We changed properties because Craig (our PH) knew there was an outstanding specimen on that property. It was difficult to listen to Craig say “that’s not the one” all day long. The next day we finally located the correct bull in a thicket facing us at about 90 yards. Finally, I was able to put him on the ground, Kudu’s to Craig for his persistence because this was the animal I was looking for. We had a great time during our second visit with Cruiser Safaris. We managed to take ten great trophies thanks to Craig’s hard work. At the top of the list is a fabulous Sable but the Nyala, Lechwe, Fallow deer, and all the rest are memorable as well. We have great memories of our experience and 1400 pictures to relive them! We hope to go back and take our grandsons in the future. Thanks to all the staff for making our trip special! (John) Hunt #4 at Cruisers for me proved to be another round of unique experiences and lasting memories. This trip I was joined by a friend, Sean Miller. It was his first African trip which made it special for me as well. I have hunted with Sean for many years now and could not wait to observe his reactions/responses to hunting in Africa. After the marathon flight, we were greeted at the airport by Craig. I have known Craig since 2011, but have not had the pleasure to be guided by him. We spent only a short time retrieving our rifles and receiving our temporary permits at SAPS before we headed to the lodge with only one stop: the obligatory stop at a market for fresh fruits and vegetables. We were received at the camp by DelMarie. As always, she was waiting with a cold beverage and escorted us to our accommodations. Moments later, we were greeted by Pieter and Munsu. It was nice to be back. With the temperature hovering around 100+ F, the rest of our day was spent briefly at the range, a wonderful dinner, and some decompression time from the trip. With that, the name of the trip was should have been the “Full Moon Effect.” The majority of the hunting was conducted in the daytime in advance of the moon’s full phase and finally full status on day 6 of the hunt. The animals move, feed, and drink at night and then bury themselves in the thick stuff during the day. Aside from that, Craig said it affects their behavior. Crazy, I think he called it. The biggest thrill of this trip was to observe my friend’s reactions to the hospitality, accommodations, hunting, PH skills, abundance of quality animals, culinary delights thanks to DelMarie, and overall new experience. It was not long before rumblings of “the next trip” could be heard and discussed with him. He spent the first day spotting and stalking and learning that shot opportunities come about fast and unexpected sometimes. Day two was a double for him. He bagged a wildebeest and a gemsbok. Needless to say, he was exhilarated. The rest of his trip was filled with new encounters and successful. As for my hunt, perseverance was key. In lieu of a daily chronicle, I am opting for the animal by animal synopsis in the order of taking. Steenbok – Hunting in Africa means being open to opportunities. Flushing out a steenbok and having a shot opportunity after spotting, stalking, tracking, and “almost” getting a shot on a couple other species was welcome. We had a tough morning on Day 1 being busted by the wind, other animals, and the density of their cover when we came across a nice steenbok feeding in an open area about 150 yards away. Craig asked if I had any solids for my .375 based on the size of the animal. I did and obliged. Once reloaded, we worked into position and waited on the sticks for a decent broadside shot. A few minutes on the sticks through the scope seemed like an eternity. Finally, a decent shot was available. The shot was back and a little low on the animal and no matter what the size over here, they can take it. Craig and Frikkie went to work for the next 90 minutes on an impossible trail of very little blood and tiny tracks from one of the smallest antelopes in Africa. They were masterful. The Steenbok settled down a few times only to be boosted by our pursuit. Finally, Craig spotted the ram under some thick cover about 60 yards away. He was laying down with his ears aimed in our direction. The profile gave him away. Sticks went up and I dispatched the animal. Kudu – I had hoped to return to the mountain area to hunt kudu as it was very picturesque and challenging. However, Pieter had other plans for me. He sent Craig and me to a new area I had not previously seen or hunted on in the last three trips. There were rumors of an exceptional bull from the land owner, so we felt it necessary to investigate. We went to the concession in the mid-afternoon hours when the temperature started to subside. We were greeted by the land owner and thanked him for the access to his land. Once at the property, it was not long before we spotted kudu and some nice bulls. They, of course, felt it necessary to run off at the sight of us, so we started tracking. The cows and bulls stayed together for a short distance and without fail, the two bulls (one young, one old) separated in another direction. The older bull had a distinct track. The right front hoof was slightly elongated. We quickly found ourselves with a shot opportunity about 120 yards from the older and exceptional bull. I had a solid rest. Buried the shot on the shoulder. And nothing! Craig said he saw a branch fly about 30-40 yards from us and between us and the bull. Sure enough, I hit the only potential “trouble” branch between me and the kudu. The brush proximate to the kudu was not going to affect the .375 but the foreground stuff was enough. We tracked, spotted, and pursued the bulls for the next three hours and 3 ½ miles into the sunset. We were busted by the younger bull a couple times and other animals assisting in the matter. One other potential shot opportunity presented itself but it was not clean so it was not taken. Craig said we would return the next afternoon and hopefully cut his track again and pursue. The next afternoon (Day 3), we started the pursuit of the old bull. Again, it was not long before we spotted kudu and the bull we sought. His track was a dead giveaway. And, to my delight, a shot opportunity prevailed only to be a déjà vu moment at 100 yards. This time, I struck possibly the only branch that was a deal breaker. It was 30 – 40 yards in front of the kudu and was pointing in our directing so I only had its ¾” thickness between me and the bull. Missed the kudu clean. We were beginning to think he had a guardian angel. We again spent the better part of three hours tracking and stalking. We took Frikkie with us this time to assist in the pursuit as kudu tend to be tree statues spotting you before you see them. With another set of experienced eyes, we came across the bull standing like a statue with the sun behind him inhibiting our visibility. Frikkie spotted the shine of the horns from the sun and the profile of his ears. We froze. Craig set up the sticks and I climbed on. All I could see on the kudu was the white mid-neck horizontal marking and up. From that point down, there was no indication as to which way the kudu was standing. We waited, waited, and waited. I told Craig that I thought the kudu’s body was to the right. At this point, we were just waiting for him to run in quintessential kudu fashion. If the animal bolted to our left, I had a small opening. I kept the cross-hairs in the opening for about three – five minutes which felt much, much longer. Finally, be bolted. Right – of course. His body was to the right. Back on the track for another hour or so and losing daylight, we came across young bull and a few cows. They bolted so as to draw our attention but Craig spotted the old bull standing like a statue about 40 yards to their left. With minimal hesitation, I drew down on the bull and squeezed the trigger. Nothing. Craig says “What happened?” Safety was on. I remedied that quickly and sent an A-Frame squarely into the bull as he began to run. He made it about 30 yards before tumbling and immediately expiring. Another 3 ½ miles of sensational pursuit. Now on the ground, I was not the only one interested in getting the tape out. Craig did the honors quickly – 58 ¾” – Nice! Sable – After some discussions with Pieter, I decided to add a sable to the hunt vs. a buffalo. The addition of a bad-tempered buffalo was tempting, but not for this trip. We had seen sable bulls on/off during the first couple days of the hunt but now that I had decided to hunt them, they were not as easily located. Day 4 was no exception. I was skunked. On Day 5, our attention went to gemsbok without much success. Again, the wind and other animals were of no assistance to us. As for sable, we spotted a couple of the younger bulls in the morning clinging to the trunk of a group of trees but not the one of the larger bulls Craig was aware of. After an exhilarating morning being busted by the gemsbok et al, we spotted a small group of sable bulls in the distance. We jumped off the truck and set to close the distance on foot. When we were close enough, Craig was able to determine that there was a larger bull amongst the group of four sable. We used the cover to our advantage and made a successful stalk and shot. Sable dropped straight to the ground. Gemsbok – In my humble opinion, the gemsbok is one of the most difficult and exhilarating hunts. Their senses seem to be the most acute. We spent many hours in the first 5 days of the hunt in pursuit only to be foiled by the wind, their senses, zebra, warthogs, zebra, impala, hartebeest, zebra, and zebra. Decent shot opportunities were few and far between as they can run forever. Over the course of the first five days, we saw several herds and a couple different times we pushed a lone bull. We never did see the lone bull, but his tracks indicated he was of good body weight. As for the numerous herds, one offered a nice bull whose horns had a distinctive curl similar to a sable but not as deep. We started to call him a “gable.” We took interest in this heard and pursued several different times with no success. At one point, we crawled on our hands and knees for about 60 yards as the gemsbok were bedded down. We got in tight but no shots as it was thick. We sat patiently waiting them out but they winded us and took off. We followed for a mile or so and did have one shot opportunity on the “gable.” He blasted into a small opening in the bush – my shot was low. That was the closest we came. After securing the sable mentioned on Day 5 just before lunch, we returned later in the afternoon to the same hunting area to continue after gemsbok. We cut some fresh tracks heading into some heavy cover. By now it was possible that we had worn them down from our chase. Not more than 10 minutes into the track, we were busted by a single gemsbok bedded down. He started the stampede as he got the zebra moving (as if they needed assistance), and pushed the herd of gemsbok in front of them and some impala. At this point, the impala and zebra were all moving in the same direction we needed to go. Eventually, they separated and we were on their track again. We moved them a good distance and they ended up in a more open area of the concession. Craig spotted the small group of the gemsbok off in the distance that I thought was about 250 – 300 yards. They had slowed and were walking calmly. We used the local flora to our advantage and set up the sticks to review the animals. Craig spotted a good bull and identified him to me. He told me to aim about 3 inches below the top of his shoulder based on the distance. I did. It was a good hit as far as height – center mass, but the windage took the bullet back about 12 inches from the point of aim. No matter, as the bullet path was forward through to the opposite front shoulder and stopped just under the skin. The animal was hit well. It separated from the others and was confused. It traveled at an angle toward us. When it was about 150 yards away, I sent another shot into the shoulder and ended it. After, Craig informed that the first shot was in excess of 350 yards. Glad I did not know that. It was a sweet end to five days of on/off pursuit and easily 20 miles+ dedicated to gemsbok, according to my phone’s fitness application. Impala – The impala had been one of our adversaries for many days of the trip while we were pursuing other game. Their tendency to pop up at the wrong place and time to thwart our stalking efforts was uncanny. Now that our pursuit was focused on them on Day 6, our challenge was to get within range to assess some rams. The area we were hunting had an abundant supply of herds and decent rams. We spent the first few hours of the morning assessing and putting on stalks. At one point, we set up on the sticks and waited for a specific ram to enter the opening. When it did, there were others behind him or in front of him. No clean shot opportunities. After a couple hours, we had them moving quite well so we hopped on the land cruiser and set out for a location far away and downwind. Our goal was to try to intercept them. Our stalk back toward them was perfect except they were a no show. Apparently, they went another direction, so we hopped back on the vehicle at another possible stalking point. This time our selected location was spot-on. It was a brief walk into the wind before we spotted a large herd of impala grazing and somewhat relaxed. Craig spotted a nice ram in an opening about 150 yards away and dropped the sticks before the ram realized we were there. The ram came to attention broadside and I placed the shot on the shoulder. Craig said it was a good hit. We found the ram about 10 yards from its original position. Waterbuck – In our pursuit of gemsbok and sable the first few days, we had seen many young waterbuck bulls and an excessive number of females. On a couple occasions, we flushed out a couple nice bulls traveling with an outstanding bull. One occasion, we pursued the large bull in the twilight through some nasty hook thorn territory. The bull stopped in heavy cover about 80 yards from us and I went up on the sticks. No clear shot was available. After a short staring contest, the bull turned and ran. At least that is what we thought. He was out of sight. Craig and I ran toward the location of the bull to see which way he went or get on his tracks. It turned out, he had only repositioned on the opposite side of the heavy cover. He moved 20 – 30 feet. Needless to say, our sprint flushed him out quickly. No matter. Shortly after taking the impala, we happened across a group of three waterbuck bulls at a comfortable range. One ran off immediately, the other two stood motionless long enough to assess and set up a shot. I had a solid hit on the bull dropping him in his tracks. It was a successful morning taking an impala and waterbuck. Bushbuck – “Last Night – Last Light.” The pursuit of bushbuck by Craig and me defined perseverance. The hunt for bushbuck is concentrated along the banks of the Matlabas River in the early mornings and late afternoon. The elusive animals hide in dense cover from which they almost always notice you before them. When they do, they bolt like a rabbit out of their cover and inevitably alter their escape route. My first bushbuck in 2013 was taken in the late afternoon. We spotted the animal creeping into the cover of the river bank and I shot at its profile and was successful. This year, we hunted bushbuck along the river a total of eight different times. There were two good rams along the section of the Matlabas that we had observed. One ram became the primary focus based on size and age. We saw numerous other young rams and does on many occasions. We altered our stalking time and directions. We even tried to outsmart the ram by having Frikkie walk the path above the river’s dense embankment cover while Craig & I walked at the base of the bank. We called it the Frikkie push. This would allow for another set of eyes to possibly spot the ram before he observed us and allow for a decent shot if he bolted across the river of sand. On our first attempt of the Frikkie push, the ram was not to be found. He was a “no-show” two out of the eight hunts. Of the six times we flushed him out, his escape route changed four times and once he didn’t leave the safety of his cover until we passed his position. Only once did I attempt a shot. He was running across the sand river on one of the early attempts. It was a clean miss. After the 6th attempt, I was contemplating surrender, but Craig just kept on insisting. On the last night of hunting, we returned to the area of the river to try one last time. We started our approach as we had done before. Craig & I dropped down below where the ram was anticipated to be with Frikkie staying on the path. Craig & I did not get far when Frikkie motioned that the ram took off. This time he ran up the path in front of Frikkie and stayed in the cover. Craig and I sprinted up the river to intercept should the ram cross. We saw nothing. After a short stint, Frikkie motioned that the ram had not crossed and he was tracking the animal along the embankment. We joined Frikkie along the bank and tracked the animal for a couple hundred yards. At this point, it appeared hopeless. We continued on the path for about five or ten more minutes with our eyes fixated on the opposite bank as there was a remote chance, we might spot him. With the sun dropping behind us, Craig stopped unexpectedly and said, “There he is, you see him? He is just to the left of that tree.” I spotted his small silhouette on the opposite bank as Craig set up the sticks. The ram was facing away from us with its head turned back almost 180 degrees looking at us. Craig identified the best shot placement and I obliged. Next thing I heard was Craig saying “You got him!” I’m not sure who was more excited at this point as Craig sprinted across the river to retrieve the animal. “Last Night – Last Light” I told Craig. He had his trademark smile. It was an epic end to the hunting. The last morning in camp is always a mixed bag of emotions. For me, it was another pile of memories to embrace. For my friend Sean, it was a whole new set of memories and experiences. So again, thank you to Pieter & family, Craig, Bob, Del Marie, Munsu, Frikkie, and the rest of the Cruiser family. Be well until I return. Upon our arrival, Pamela and I overnighted in Johannesburg as we had on our previous hunt with Cruiser. The next morning our PH Craig Diplock was there promptly to collect us for transfer to Cruisers lodge. On this drive out however, we had an unexpected but quite pleasant side excursion. Because of the relative remoteness of the Cruiser lodge each trip into Johannesburg should be utilized to its fullest extent. In our case Craig asked if we could stop by the local farmers market to replenish some camp supplies. We, of course, agreed and the experience of visiting this local and large produce market was in itself very rewarding. It is always interesting and enlightening to see the behind the scenes operations that are required to provide such an outstanding hunting experience as Cruiser has to offer. As usual, the first day in camp is a non-hunting day allowing one to settle in and recover from what is in many cases a long trip. Delmarie, the lodge Chef, meets each guest with refreshments and sees that you are settled into your room. We were surprised to learn that on this occasion we were the only hunters in camp. While you miss the camaraderie with other hunters in this situation, it has its own benefits which we soon realized. Additionally, Pieter and Lizelle had taken this opportunity to take a well-deserved vacation. Nevertheless, Craig and Delmarie made absolutely sure we had everything needed with Craig maintaining regular contact with Pieter. This was the first African dangerous game hunt I had ever attempted. The first day we were out early and Craig spotted some promising Buffalo tracks crossing one of the roads. We stopped for a closer look. While checking the tracks, Craig spotted several red-billed oxpeckers taking flight. Approximately, 50 yds. from us we then spotted the head of a very promising Buffalo. Apparently, it had been lying down in the thick bush until our arrival had disturbed it. The brush was too thick for a shot as we could not tell how his body was aligned. After a moment he moved off deeper into the bush. We immediately began to track this animal. We tracked all morning with the Buff staying just ahead of us out of visual range. At lunch, we decided to go back to camp and return later in the afternoon. That afternoon we again picked up the Buffalos track. It appeared this was going to be a repeat of the morning with the animal staying just out of sight. However, approximately 5:00 P.M. local we spotted the Buff approximately 20 yds. away. He was standing looking directly at us. We were crouched low to see under some brush but the shot was there. I was hunting with my Merkel 140-2 Double Rifle in .500 Nitro Express. I fired the first shot. The Buff reacted as if solidly hit. It then ran with me firing a second round and missing. Craig found blood spore and we began to track again. Unfortunately, it was getting close to darkness so we had to abandon the Buff for the night. Needless to say, I was terribly concerned I would lose this animal. Craig kept reassuring me that we would find him the next day and if he wasn’t critically wounded, we still had six days to track him down. The next day started off with tracking what was now a wounded Buff. Our apprehension was high to say the least. Buff can be very dangerous, as most of you know, and wounded Buff even more unpredictable. We tracked following blood and prints for the entire morning. It was extremely slow and tense tracking in very thick bush. Sight distance was often no more than 10 to 15 yds. Ultimately, the Buffalos track became covered over by two large Eland bulls falling in trail behind. Not having a clear track, Craig suggested we break for lunch in the field (a bush barbeque) which was excellent. In the interim Craig radioed back to base camp for additional tracking help. During lunch Munzu (a former tracker but now a full-fledged PH) joined us to assist with the tracking. My tracker Frikkie and Munzu picked up where we had lost the track before lunch. Craig, my wife, and I took the hunt truck to look for signs where the Buff might have crossed the open roads. In less than an hour Frikkie radioed Craig and told him they had jumped the Buff with its direction of travel. We hastily drove around to get in position to head the animal off. We had just barely arrived when the Buff broke cover perhaps 35 yds. away. Craig had previously asked me if he could fire on the Buff to prevent its escape once again (should I miss or not be in a position to fire). Having agreed both Craig and I fired. The buff did not go down but staggered off toward cover. Finally, the Buff went down on its side but was still trying to get up. Craig told me to put a round between the shoulder blades which I did. The Buff then let out the Death Bellow and Craig said that was the sound we had been wanting to hear. After a moment Craig approach the Buff first to make sure that it was down for good. At 3:20 in the afternoon on my second day I now had my first Buff. I had also brought my CZ550FS in 9.3x62. I now had five hunting days left. Pieter through Craig offered me the opportunity to take a Sable. I had previously booked such a hunt but had to cancel for personal reasons. Pieter rightly determined that while I was there it would be more cost efficient to take the Sable on this trip and save on the round-trip airfare to the U.S. On our third day Craig and I scouted Sable. We identified the one of interest and determined to come back the next morning for a try. The next day it took the better part of the morning to find the Sable again. Once again, we had an animal that stayed in the thick bush just far enough in front to preclude a shot. To complicate matters the one we were after was running with another smaller bull. Finally, after several hours of tracking the Sable duet broke into the clear. We fell in line behind. The only problem was they were traveling in line as well. When they would stop taking a shot risked hitting both animals. Craig surmised that they were heading for a watering hole so we just followed along. They arrived at the watering hole with the smaller sable between me and the one I wanted. Craig put up his shooting sticks and told me to be patient. He felt the smaller one would move and I would have my shot. Just as he predicted that is what happened. I fired but it appeared I had missed. The smaller Sable bolted but the one I fired at simply walked off about 20 yds. and laid down. I fired a second round and the animal was finished. Even though it had not reacted, I had struck it the first time the second round was just the coup de grace. Such was the hunting experience but Cruiser and their staff offered so much more. We took a day trip to Pilanesberg National Park. Here we saw a variety of animals up close. These included Elephant and White Rhino. In addition, we also got to see a very rare Black Rhino. Almost unheard of, we also saw a female Leopard lying in the shade of a tree. Of course, we have pictures of it all. But this was not the most special thing done for us while we were there. Pamela and I celebrated our 25th anniversary while there. Craig invited us to go out to look at some animals (particularly Giraffe) which my wife wanted to photograph. We left camp around 2:30 and drove around looking at various animals for a few hours. As evening approach Craig turned down toward the river. Unbeknownst to us, Pieter had put in a river side outdoor dining area since our last visit. As we approach there was Delmarie with a private candlelight dinner for two. They had it all prepared. A fire burning, wine of our choice, and a delicious meal arrayed just for us. We were, without saying, overcome by the effort the staff had put into making our anniversary one to remember forever. Craig left us a radio, told us he would not be very far away, and left us alone to enjoy our time together. The staff set no time limit telling us we could stay there as long as we wished. We stayed until about 8:00 P.M. and I finally, reluctantly, called Craig for pick up. I know they would have let us stay there all night if we wished. As I have eluded to, this was our second hunt with Cruiser but it most definitely will not be the last. If you are looking for your first hunt or a return trip you cannot beat Cruiser, Pieter, and their staff. They all have become more than just business acquaintances, they are friends and dare I say extended family. You will find no better PH than Craig and no better Chef than Delmarie. Pieter and Lizelle are magnanimous host cutting short their vacation to return to see us off. To use an old Navy term for a job well done Bravo Zulu Cruiser, Bravo Zulu.